7 Ajaw 8 K’ayab’. Drawing by Jorge Pérez de Lara. “ ‘A people without history is like a tree without roots,’ goes the famous saying. 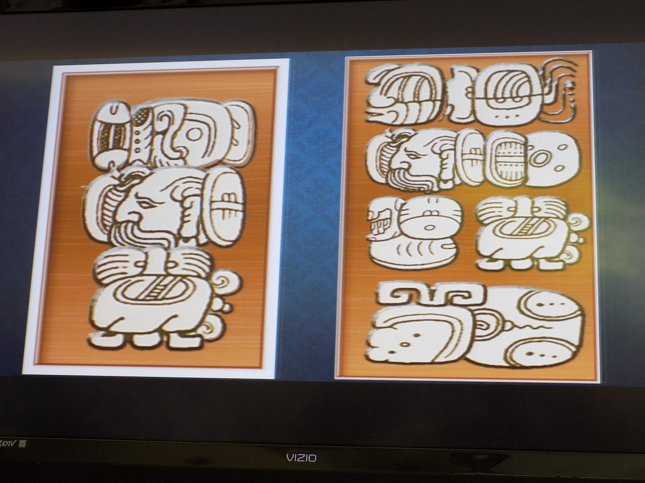 This is precisely what epigraphy signifies for the Maya people.” Antonio Cuxil, Maya Kaqchikel, Co-organizer of the 2016 Congress of Maya Epigraphers. We used the above quote in 2012 when we at MAM launched our new web site with our new name and logo, and this saying has not lost its power (see 9 Ajaw 8 Pax, February 5, 2012). Today, four years and 19 days later, we announce to you the Third International Congress of Maya Epigraphers (2012 Valladolid, Yucatan; 2014 Ocosingo, Chiapas; 2016 El Remate/Tikal, Petén, Guatemala) to be held on May 14-20, 2016. If you click on this link https://www.generosity.com/education-fundraising/maya-revival–2 you will go to the Generosity crowd-funding campaign, where the video tells our story. Like the crowd-funding we did in 2014 to support the Second International Congress of Maya Epigraphers, we prepared a video to promote our mission. In 2014 we called it Maya Revival, and since it was successful, we call this one Maya Revival II. You can all help us by going to the Facebook and Twitter share buttons and spreading the word, or simply notifying friends and colleagues the old-fashioned way, by e-mail. Thank you in advance for your loyal support. We look forward to telling you our progress toward our goal in our next blog in twenty days. Ana Elizabeth López Ramírez, leader in the Mam Maya linguistic community and day-keeper (diviner, spiritual leader, and interpreter of the contemporary Maya calendar). With the Madrid Codex calendar projected on the screen, Ana López writes the matching contemporary calendar on the white board, a calendar used in daily life. The intensity and absorption in this girl’s eyes show the positive effect of our mini-grant program as she painstakingly copies the glyph “pu” to write her surname Puc. Popol Naj workshop, Tizimin, Yucatán, led by MAM colleague Ana Patricia Martínez Huchim. Click here to see the video and visit our campaign! 13 Ajaw 8 Pax. Drawing by Jorge Pérez de Lara. 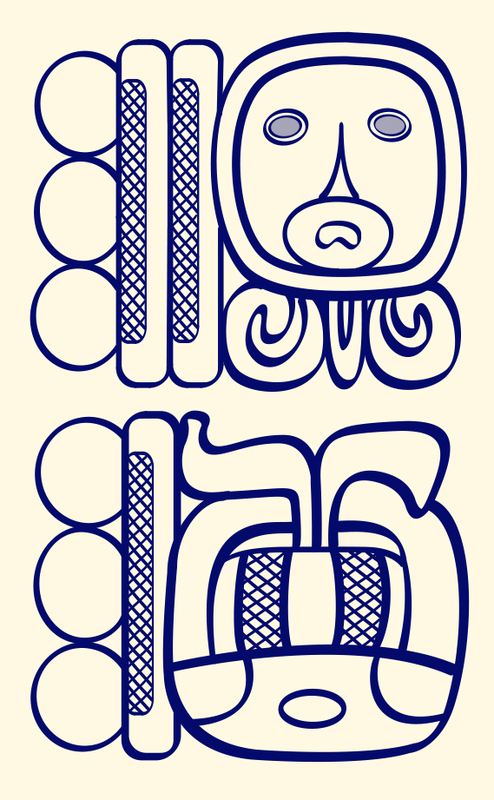 Over recent years we have seen glyph workshops of many kinds at many levels, but it seems to me that none can be more significant for future epigraphy in indigenous Maya areas than the introduction of epigraphy to the school teachers themselves, who then in turn can multiply the knowledge exponentially in public schools. I present today two such programs, one from Yucatan and one from Guatemala. I have asked the leaders of these two movements to tell us in their own words why this is important. 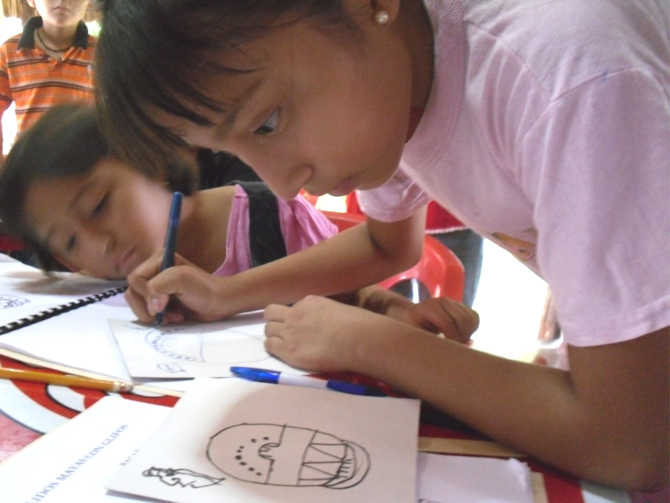 One of the great challenges in education that is imparted to the Maya children of Yucatan, from any geographical part of our state, is to provide quality education that has relevance, seeking to deliver the skills that are expected for childhood development, and skills that have meaning, that are linked to daily life. Under this premise, the Bureau of Indigenous Education notes that in urban communities of our state many children, despite having Maya descent, have Spanish as their mother tongue and do not have opportunities to develop and strengthen their identity and sense of belonging to the culture of their grandparents. On behalf of these children, Ko’one’ex Kanik Maaya program was established as an alternative to contribute to the development of learning, assessment, and appreciation of the knowledge of their ancestors. 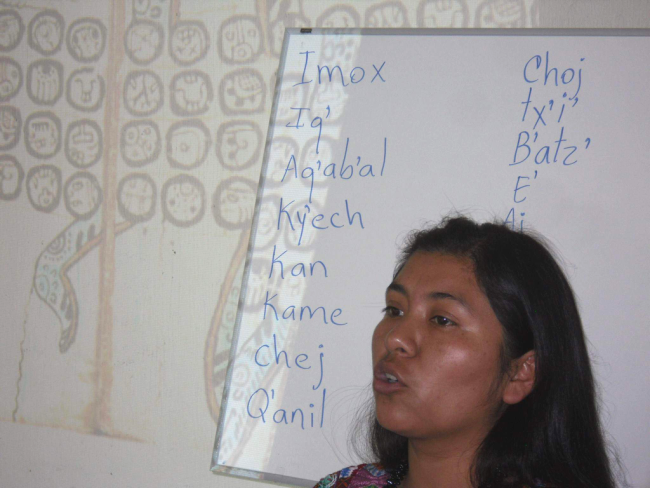 This not only involves learning the Mayan language, but also the extensive cultural knowledge and experience that is carried through language, such as its traditions, customs, and mathematical and astronomical knowledge that are still present and are useful in the daily lives of the Maya people. From this perspective, the education that is offered to these children is intended to cover the entirety of the worldview of our mother culture, and this is the line of work that the institution has set for the implementation of this educational program in 85 urban schools where it operates. However, despite more than 20 years since its implementation, it has not considered the teaching of the ancient script of our grandparents as part of its contents until this school year, with the concept that the Ko’one’ex Kanik Maaya program could be the means for teaching and dissemination of epigraphy to new generations. 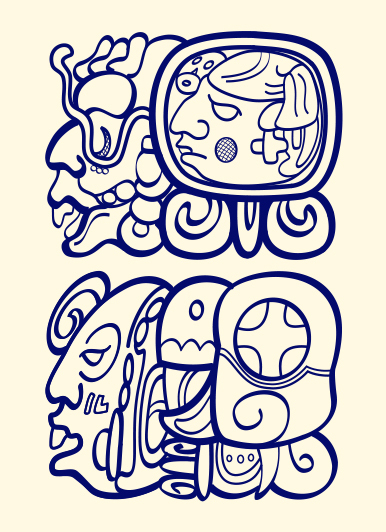 Besides being an innovation in the contents of the 25 schools participating in this school year, there is a great opportunity for the Mayan glyphs to break loose from the idea that they are the exclusive field for researchers and experts, for it can be a component that strengthens the identity of our children who learn to handle the syllabary to read and produce their own texts through this epigraphic system and it can awaken interest in this field of study for future researchers and disseminators of this valuable writing system in which much remains to be discovered. Poster from the Ko’ox Kanik Maaya school program.